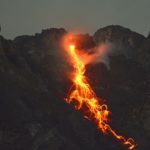 le chaudron de vulcain – April 05 , 2019. EN. Indonesia : Agung , Colombia : Nevado del Ruiz , El Salvador : Santa Ana (Ilamatepec) , Philippines : Mayon , Guatemala : Fuego , Indonesia : Anak Krakatau. Home / agung / April 05 , 2019. EN. Indonesia : Agung , Colombia : Nevado del Ruiz , El Salvador : Santa Ana (Ilamatepec) , Philippines : Mayon , Guatemala : Fuego , Indonesia : Anak Krakatau. Eruption with volcanic ash cloud at 17h31 UTC (01h31 local). Eruption and ash emission is not continuing. 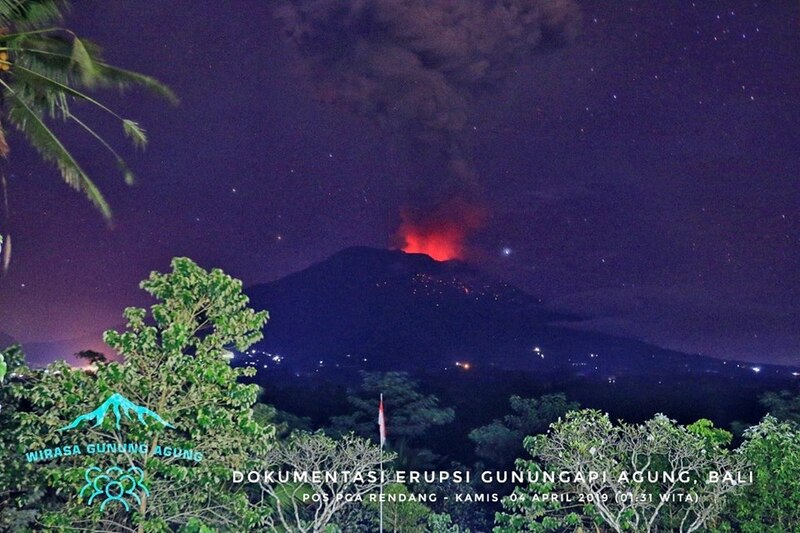 An eruption of Mount Agung in Bali occurred on April 4, 2019 at 01:31 WITA with a height of the ash column observed at ± 2,000 m above the summit (± 5,142 m above sea level) ). The column of ash was observed to be gray with a thick intensity, facing west. This eruption is recorded on a seismogram of maximum amplitude of 25 mm and a duration of ± 3 minutes 37 seconds. A roaring roar was heard as far as the Rendang Observation Post. (1) The communities around Mount Agung and mountaineers / visitors / tourists must not climb or carry out any activity in the estimated danger zone, ie in all areas within 4 km radius of Mount Crater. Agung. The estimated risk area is dynamic and continues to be evaluated. It can be modified at any time to follow the most recent observation data from G. Agung. (2) Communities that reside and move around rivers flowing from Gunung Agung should be aware of the potential secondary threat of lahar flows that can occur especially during the rainy season and if the eruption material is always exposed in the peak area. The level of activity continues at the level: Yellow activity level or (III): Modifications of the behavior of the volcanic activity. During the last week, the seismicity caused by rock fracturing resulted in a slight decrease in the number of earthquakes and released seismic energy compared to the previous week. The earthquakes were mainly located in the north-east and south areas of the volcano and in the Arenas crater, at depths between 1.1 and 6.8 km. The maximum magnitude recorded during the week was 0.6 ML (local magnitude) corresponding to the March 26 earthquake at 3:15 pm (local time) in the Arenas crater at a depth of 2.2 km. Compared to the previous week, the seismicity related to fluid dynamics inside the ducts of the volcanic structure showed similar behavior both with respect to the number of earthquakes and the seismic energy released. This type of seismic activity was characterized by the presence of earthquakes of variable energy levels, generally low, long period type (LP), very long period (VLP) and pulses of volcanic tremor. The earthquakes occurred mainly in the crater Arenas and its surroundings. Some of these signals were associated with small ash emissions. Volcanic deformation, measured from electronic inclinometers, has not recorded any significant changes over the past week. 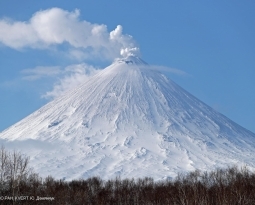 The column of gas and steam reached a maximum height of 1500 m, measured at the top of the volcano on March 31st. The direction of dispersion of the column was governed by the direction of the wind in the region, which prevailed towards the northwest of the volcano. Last eruption: October 1, 2005. The seismic vibration of the volcano fluctuated between 28 and 33 RSAM units on average per day, ie in the normal range. 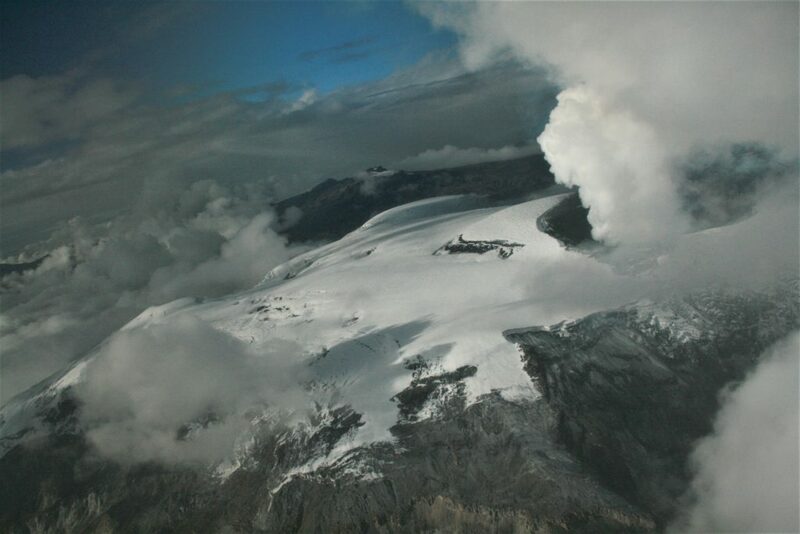 The San Blas seismic station recorded 35 earthquakes related to the movement of fluids in the volcanic system. 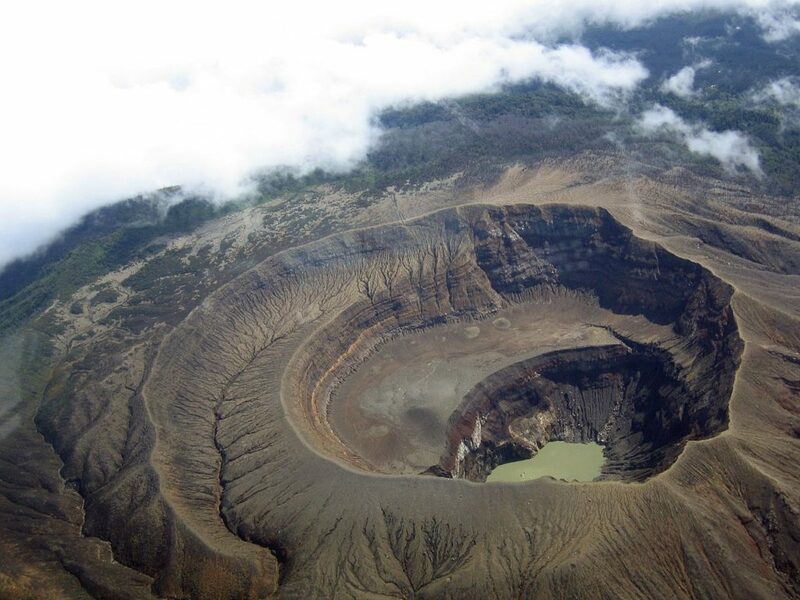 With regard to earthquakes associated with the rupture of solid media, only one was recorded and located, to the west of the volcano crater, with a depth of 6 kilometers and a magnitude of 1.8. The inhabitants of the region did not speak of significance. Emissions of sulfur dioxide (SO2) have fluctuated between 72 and 438 tonnes per day, averaging 248 tonnes. Values ​​taken into account in the baseline values ​​(<300 tonnes / day) and typical of a volcanic system with constant gas emissions. Reports from MARN guards who visit the crater do not report a change in activity. 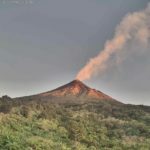 The changes recorded through the instruments and the visits made indicate that the volcano presents a normal activity like any active volcano. MAYON VOLCANO BULLETIN 05 April 2019 08:00 A.M.
Mayon Volcano’s seismic monitoring network recorded four (4) rockfall events during the 24-hour observation period. Moderate emission of white steam-laden plumes that crept downslope before drifting west-southwest was observed. Faint crater glow from the summit could be observed at night. Sulfur dioxide (SO2) emission was measured at an average of 982 tonnes/day on 03 April 2019. Precise leveling data obtained on 20 – 26 March 2019 indicate a slight inflation of the edifice relative to 25 January-03 February 2019. This is consistent with measurements from continuous GPS and electronic tilt observations showing inflation of the edifice since June 2018. Alert Level 2 currently prevails over Mayon Volcano. This means that Mayon is at a moderate level of unrest. DOST-PHIVOLCS reminds the public that sudden explosions, lava collapses, pyroclastic density currents or PDCs and ashfall can still occur and threaten areas in the upper to middle slopes of Mayon. DOST-PHIVOLCS recommends that entry into the six kilometer-radius Permanent Danger Zone or PDZ and a precautionary seven kilometer-radius Extended Danger Zone or EDZ in the south-southwest to east-northeast sector, stretching from Anoling, Camalig to Sta. Misericordia, Sto. Domingo must be strictly prohibited. People residing close to these danger areas are also advised to observe precautions associated with rockfalls, PDCs and ashfall. Active stream/river channels and those identified as perennially lahar-prone areas on all sectors of the volcano should also be avoided especially during extreme weather conditions when there is heavy and prolonged rainfall. 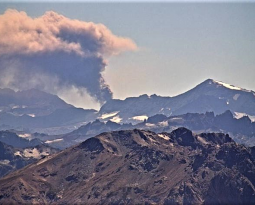 Civil aviation authorities must advise pilots to avoid flying close to the volcano’s summit as airborne ash and ballistic fragments from sudden explosions and PDCs may pose hazards to aircrafts. VOLCANOLOGICAL SPECIAL BULLETIN BEFGO # 06-2019. Guatemala on April 4, 2019 at 19:00 (local time). 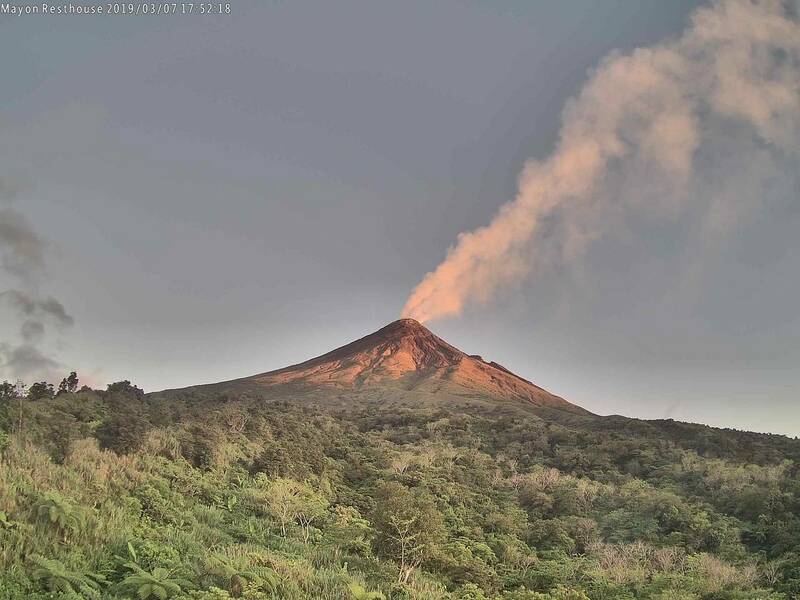 Precipitation during the afternoon in the region of Fuego volcano is currently generating the descent of a lahar with moderate characteristics in the Barrancas Seca, tributary of Rio Pantaleón. These lahars have characteristics when they start from pasty material, with blocks ranging from a few centimeters to two meters in diameter, branches and tree trunks, some of them come down hot so it raises steam columns . 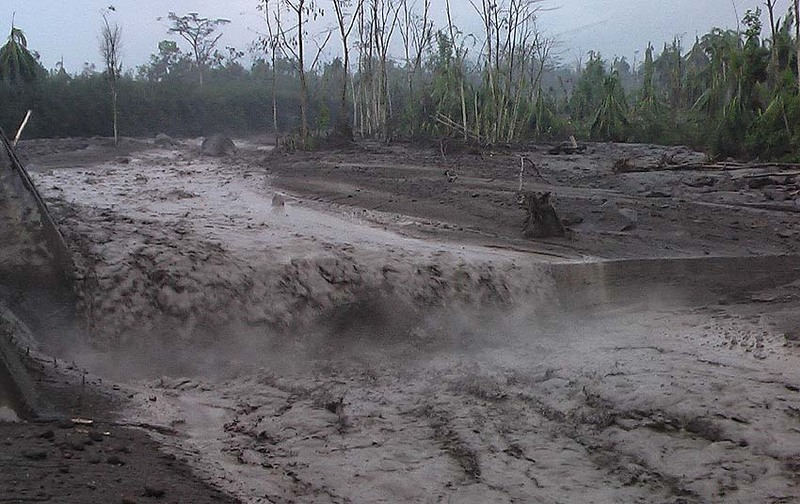 Because of the rains that can be generated in the afternoon and evening around the volcano, the possibility of lahars in one of the main ravines is not excluded. Eruption with volcanic ash cloud at 13h03 UTC (20h03 local). Eruption recorded on seismogram with maximum amplitude 55 mm and maximum duration 286 second.